The future of your business has arrived! Introducing Engage MORE, the breakthrough new technology by R+F Virtual. This live app allows Level V and above Rodan + Fields Independent Consultants to broadcast livestream events…anytime, anywhere. With this app, Level V and above Rodan + Fields Independent Consultants can create and host livestream events, invite guests, track who’s watching, and collect additional post-event statistics. The Independent Consultant’s events are linked to their commerce sites, enabling real-time enrollments and product purchases for both themselves and their business partners. ...I suppose I’ll have to figure out how to build my business without this app and use it after I’ve figured that out and achieving level V. Seems pointless not to offer this to ALL consultants seeing as how the newer consultants are the ones building their business from ground zero. Thank you for your feedback. Stay tuned for continued updates to the app and we appreciate your input. Best of luck on your R+F Journey. I didn’t realize this app was for level V and above I didn’t find out until I downloaded it. I have a difficult time understanding why this app is not available for new consultants trying to start their business. It seems to me you would want to help them start their business. This option looks fantastic. Pretty disappointed that it’s for level five and above only as it could help build your business at any level. Thank you for your feedback. Stay tuned as we continue to update the app and we appreciate your input. 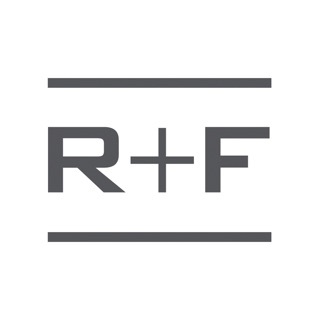 You can tune in and learn more on rodanandfieldsvirtual.com anytime, anywhere. Best of luck on your R+F Journey.